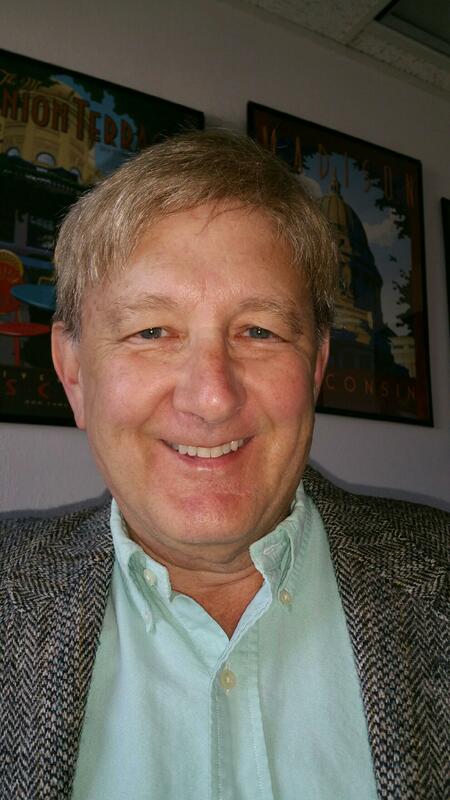 Robert J. McDermott received his BS (1975), MS (1977), and PhD (1981) degrees from the University of Wisconsin-Madison. From 1981 to 1986, he was a faculty member in the Department of Health Education, at Southern Illinois University-Carbondale. His research on smokeless tobacco use among youth was cited in the Surgeon General’s 1986 Report on the Health Effects of Smokeless Tobacco, and contributed to the establishment of health warning labels on these products. Dr. McDermott came to the University of South Florida (USF) College of Public Health in 1986, and served as Chair of the Department of Community and Family Health between 1993 and 2003. In 1998, he headed a successful effort that led to USF being awarded a Prevention Research Center (PRC) by the US Centers for Disease Control and Prevention (CDC), and he served as co-Director of this Center until 2012. Through the Florida PRC, he was a co-developer of the Community Based Prevention Marketing (CBPM) framework for program planning and policy formation. Overall, Dr. McDermott was principal investigator or co-principal investigator for approximately 105 grant and contract awards totaling $25 million over the period of 1981-2012. He received the 1997 Award for Research of the American School Health Association’s (ASHA) Research Council. The ASHA recognized his career contributions to school health in 2002 through its William A. Howe Award, the highest citation given by that organization. In 1997, he was one of just 38 invited professionals identified to be a founder of the American Academy of Health Behavior. In 2001, he became the first elected President of the Academy, an office that he held during 2003-04. The American Association for Health Education (AAHE) named him its Scholar for 1999 and he delivered the Scholar Address at the 2000 National AAHE Annual Meeting. Among his other activities, Dr. McDermott has been a member of the CDC’s invited working group on defining Health Education in the 21st Century, a Visiting Professor at the University of Cologne (Germany), the University of Wisconsin-Madison School of Medicine and Public Health, the University of Maryland School of Public Health, the University of Florida, New Mexico State University, and the University of Tampa. He was a consultant to the CDC’s Division of Adolescent and School Health, for collaboration with the Russian Federation, and a consultant to the European Union’s, Health Promotion for Family Caregivers of People with Alzheimer’s Disease and Related Mental Disorders Project (1997), and its Communicating AIDS Project (1994). In addition to 280+ scientific articles, he has contributed to more than 60 book chapters, and three books, each of which appeared in multiple editions. His noted course offerings included “Evaluation of Community Health Programs,” “Writing for Scholarly Publication,” “Introduction to Social Marketing in Public Health,” and “International Health Education.” In 1997, Dr. McDermott established a formal international education and research program including an inter-institutional faculty and student exchange agreement with the University of Cologne (Germany), and taught courses there for American, Canadian, and German students during the period of 1996 to 2013; the program also included German faculty and student scholar visits to the United States. He is a co-founder of the International Consortium for Interdisciplinary Education about Health and the Environment that includes scholars representing education, natural sciences, law, public health, and other disciplines from Europe, Asia, and North America. He has been a co-planner of all 11 conferences held by that group. Dr. McDermott is a Fellow of the American School Health Association (1988), the American Academy of Health Behavior (1998), the Royal Institute of Public Health (2002), the American Association for Health Education (2005), and the Royal Society for Health Promotion (2007). In 2004, he founded a new E-journal for the public health community of Florida, the Florida Public Health Review. From 2005 to 2012 he was Editor of the American Journal of Health Education, and in 2007, founding co-editor of Health, Environment & Education. He was the 2010 Ann E. Nolte Scholar in Health Education sponsored by Illinois State University. He retired from USF in 2012 but remains active professionally as a Prevention Research Fellow of the Florida Prevention Research Center, Editor-in-Chief of the Journal of School Health, a founding partner in Paris Scholar Publishing Ltd, where he serves as Senior Consulting Editor for Health Behavior and Policy Review, and is Senior Executive Partner for The Write SurgeonsTM, a company providing copyediting, grant writing, and resume services to academicians and health behavior researchers, and strategic planning consultation services to academic institutions and research centers.